In 2014, while standing behind a Cleveland police badge outside the Cudell Recreation Center, Timothy Loehmann saw Samaria Rice’s 12-year-old son Tamir holding an airsoft pistol and shot and killed him. 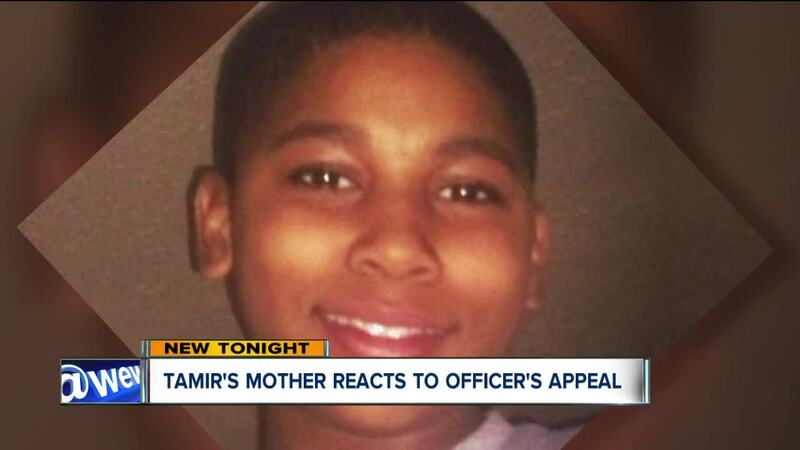 CLEVELAND — In 2014, while standing behind a Cleveland police badge outside the Cudell Recreation Center, Timothy Loehmann saw Samaria Rice’s 12-year-old son Tamir holding an airsoft pistol and shot and killed him. “Timothy murdered my son, he should be indicted and in jail,” said Samaria Rice. Cleveland Division of Police fired Loehmann in 2017, for lying on his application and violating administrative policies. “No one wants him here; he is unfit and unstable,” said Rice. But now, Loehmann is looking to return to Cleveland, as an officer. “This man is a threat to society,” said Rice. The Cleveland Police Patrolmen’s Association filed an appeal to overturn Loehmann’s firing. “Timothy left on bad terms from Independence, came to Cleveland, wrongfully took my child’s life, got fired, then tried to go to Bellaire,” Rice said. Last year, Loehmann got a job in Bellaire as a police officer. Rice and the community urged Bellaire’s police department not to hire him. Amid backlash in Bellaire, Loehmann withdrew his application. “This is an emotional rollercoaster for me and my family,” Rice said.